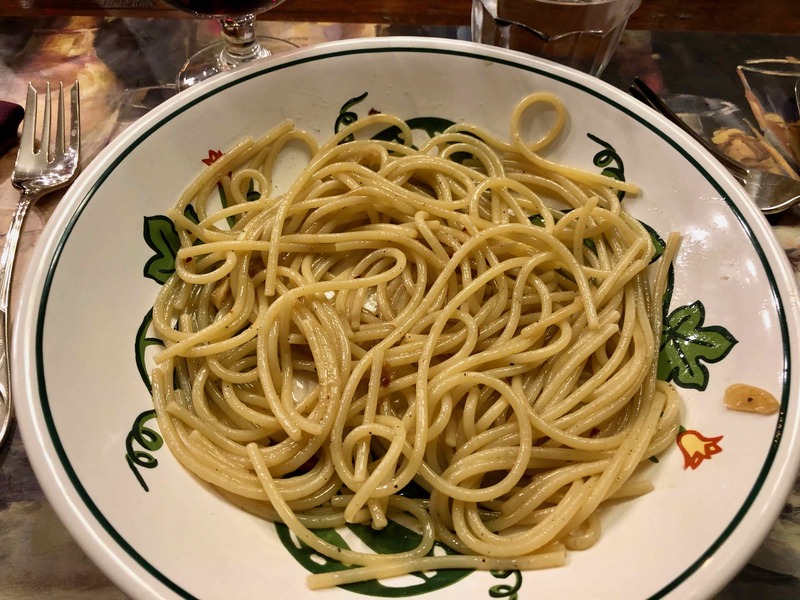 A technique article on SeriousEats.com for preparing spaghetti aglio e olio prompted me the other night to prepare it for a late-night supper. I’ve made this dish numerous times, but the article included an interesting video that demonstrated a technique for “finishing the pasta the right way” that made me rethink my own. What struck me most in the video was the cook’s rapidly swirling and tossing of the pasta in the sauce after adding the pasta water, which resulted in a beautiful emulsion. During the hectic holiday season, I sometimes find myself way behind schedule and therefore need to rush to get dinner on the table. 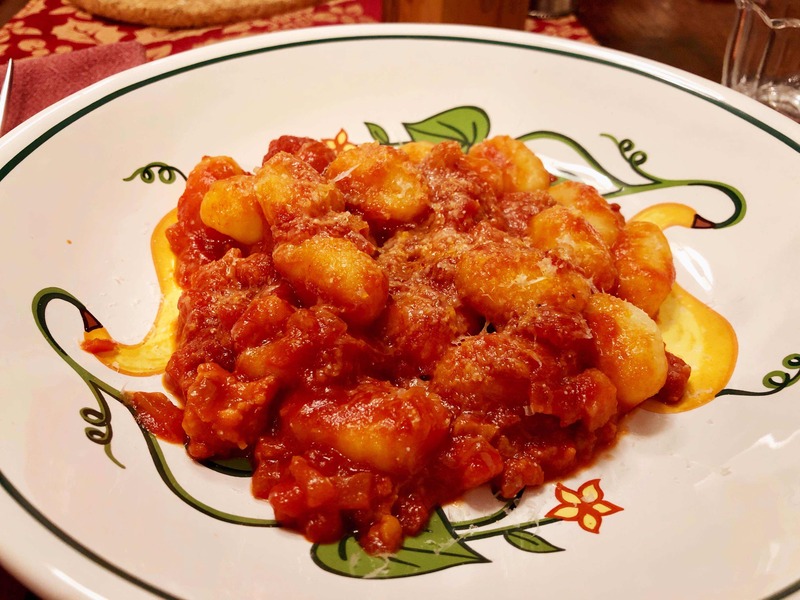 It’s at times like these that I’m grateful to have recipes like the one I found on Italian wine maven John Fodera’s impressive website, Tuscan Vines, for Gnocchi San Marzano. 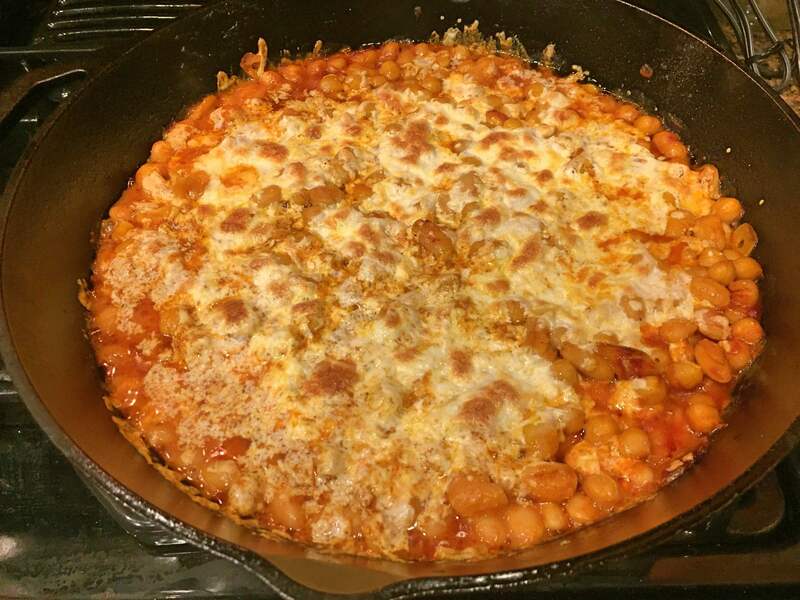 The other day, my “Daily Briefing” email from The New York Times led me to a recipe for a Cheesy White Bean Tomato Bake. 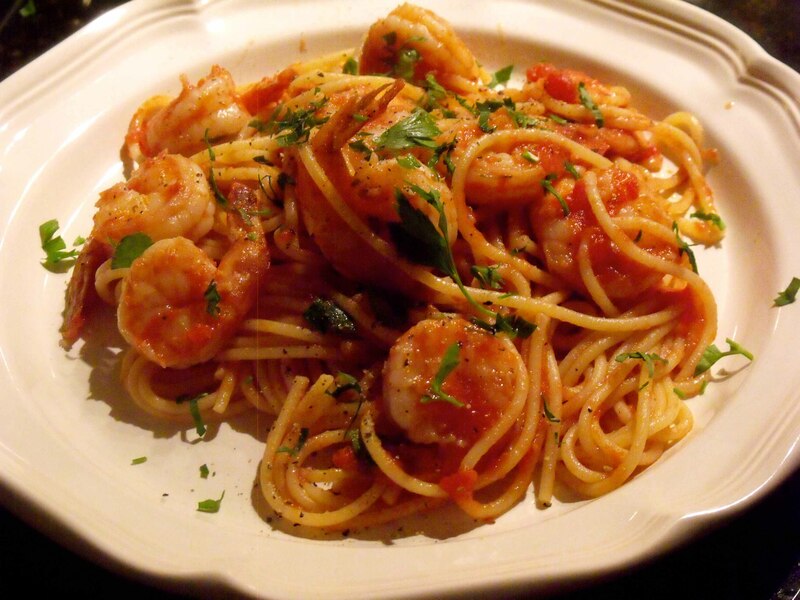 The photo accompanying the recipe looked so good that I simply had to make the dish that night. 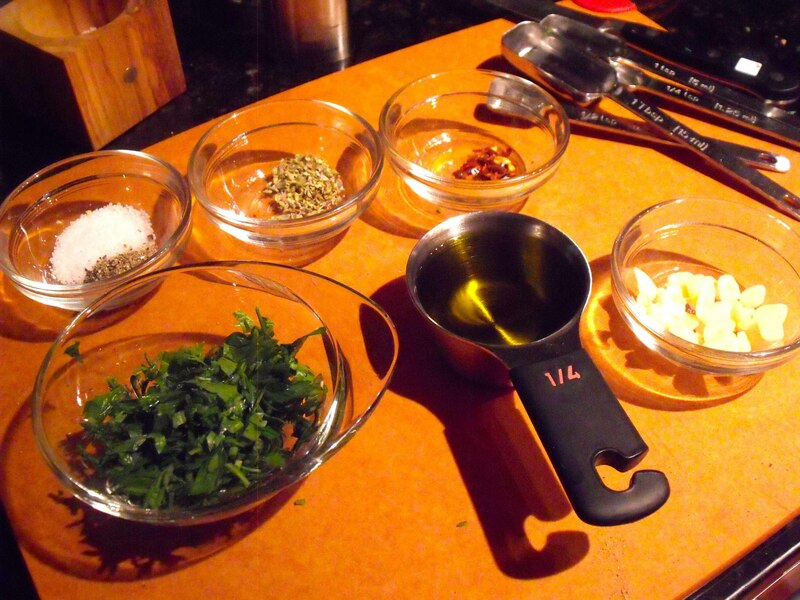 When I started to cook, however, I began to find elements of the recipe that I needed or wanted to change. First off, because my pantry only had one can of cannellini beans, I had to substitute a can of chickpeas for the second can called for by the recipe. 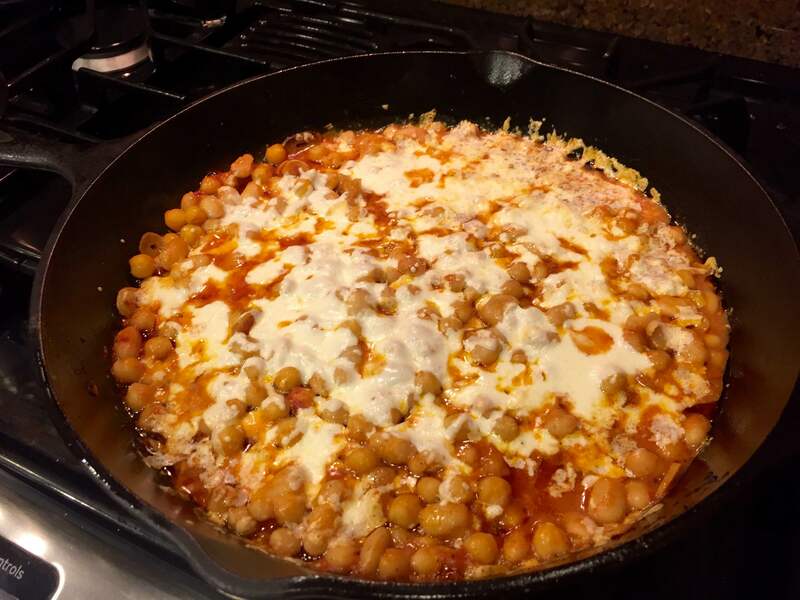 I believe this forced change was fortuitous since the chickpeas added another layer of flavor to the dish. 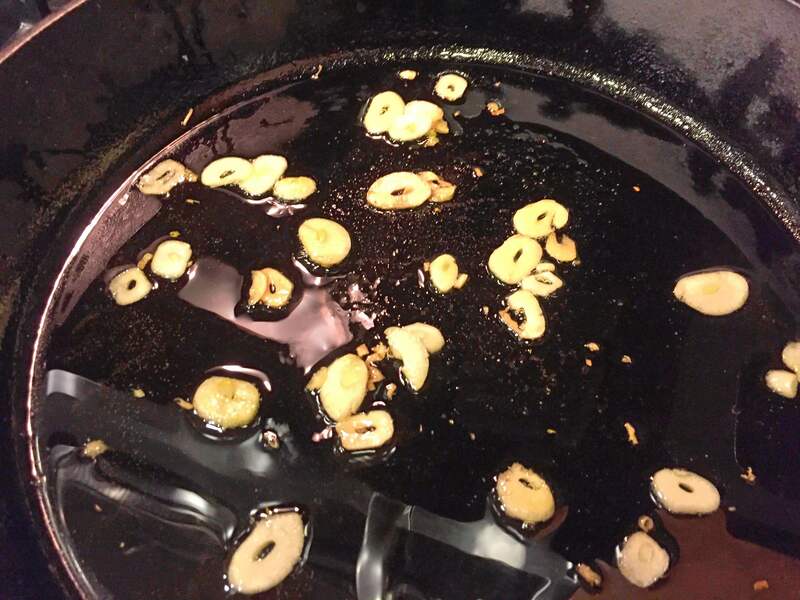 Next, I thought that cooking the garlic in heated oil for only one minute over medium-high heat wouldn’t yield the depth of flavor as would adding the garlic to unheated oil and slowly simmering it over low heat for five of six minutes. I similarly extended the time for “frying” the tomato paste from 30 seconds to a minute and a half, but made sure that the tomato paste didn’t burn by stirring it. In addition, to add a little heat, I added a generous pinch of crushed red pepper flakes to simmer with the garlic and oil. 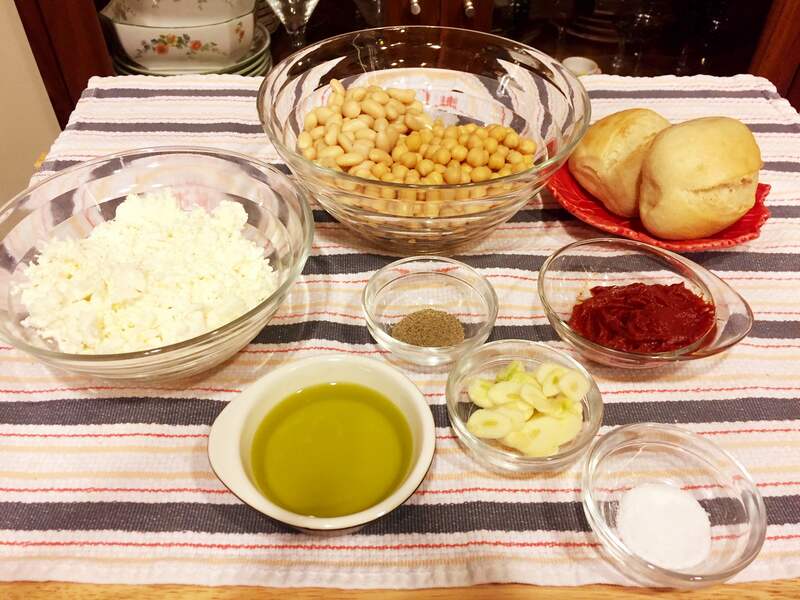 In the recipe’s second step, I opted for the longer cooking time in the oven, a full ten minutes, at which point the mozzarella had started to melt. And as the recipe had anticipated, the cheese still was not as toasted as depicted in the recipe’s photo, so as suggested, I ran the skillet under the broiler for at least 2 minutes. Although the final dish was very good, a perfect comfort food, I believe the recipe still needs some tweaking. Perhaps rendering some pancetta at the beginning or using a smoked mozzarella would do the trick. I’ll let you know how it turns out the next time around. 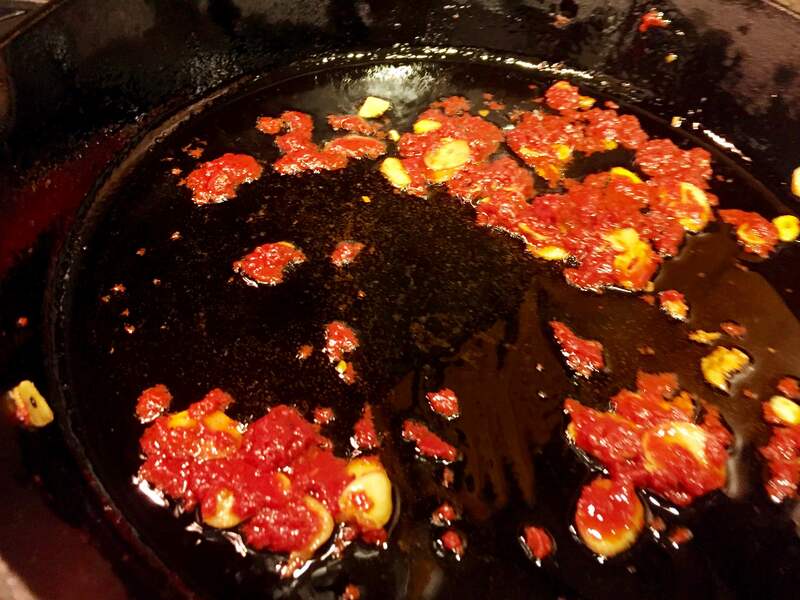 2) Raise the heat to medium low and stir in the tomato paste (be careful of splattering) and fry for 1 ½ minutes, reducing the heat as needed to prevent the garlic from burning. 3) Add the beans, water and generous pinches of salt and pepper and stir to combine. 4) Sprinkle the cheese evenly over the top, then bake until the cheese has melted and browned in spots, approximately 10 minutes. 5) If the top is not as toasted as you’d like, run the skillet under the broiler for a 1 to 2 minutes. Watch closely to avoid burning. Serve at once with crusty bread. 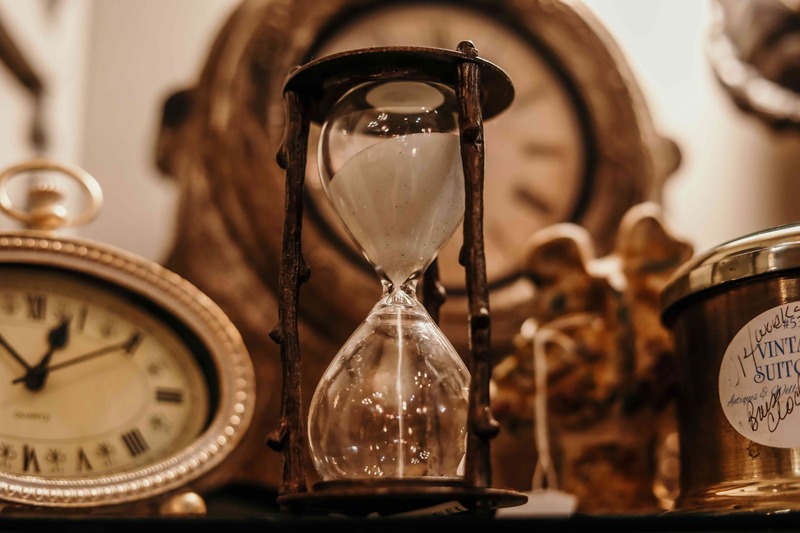 Musing: No Time To Cook? How often have you heard or even said “I don’t have time to cook.” Despite the rise of home-delivery meal kits from companies like Blue Apron, Plated, etc, which require one to cook, it seems to me from observing packages left at our condo that ordering-in from local restaurants via a similarly wide array of online meal-delivery companies like Grub Hub, Door Dash, etc. are even more popular since all they require one to do is click on items and press ENTER. 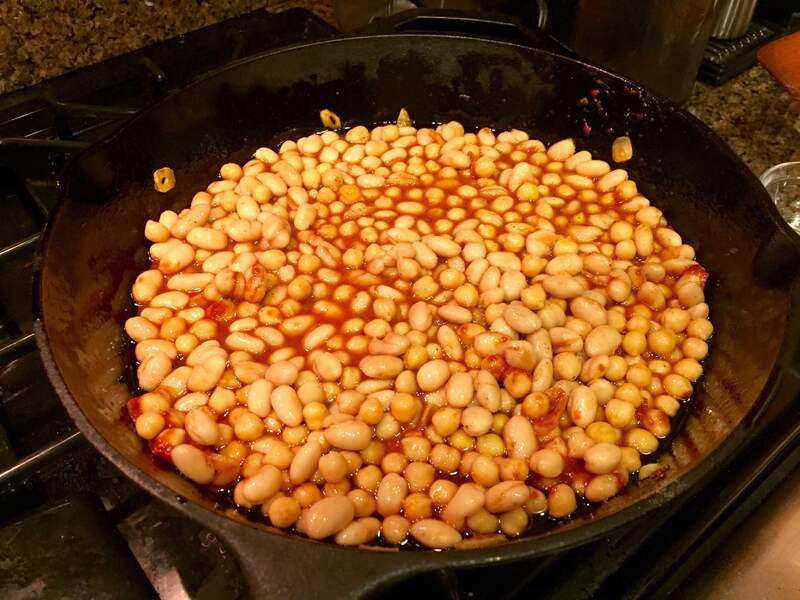 Perhaps, I’m too old for these millennial driven trends and therefore, when I know that my time is limited, I look for and collect recipes that take a minimum of prep, usually about 10 minutes, and require as few pots or pans as possible. This last requirement is typically met with either a sheet pan or a hefty cast-iron skillet. This week, I prepared two recipes that took about 10 minutes to assemble and used only a sheet pan or a Dutch-oven as the cooking vessel. The 40 to 60 minutes of required cooking provided ample time for a leisurely cocktail with my husband. Okay, there’s the postprandial cleanup; but that too can be a time for family conversation and just winding down. 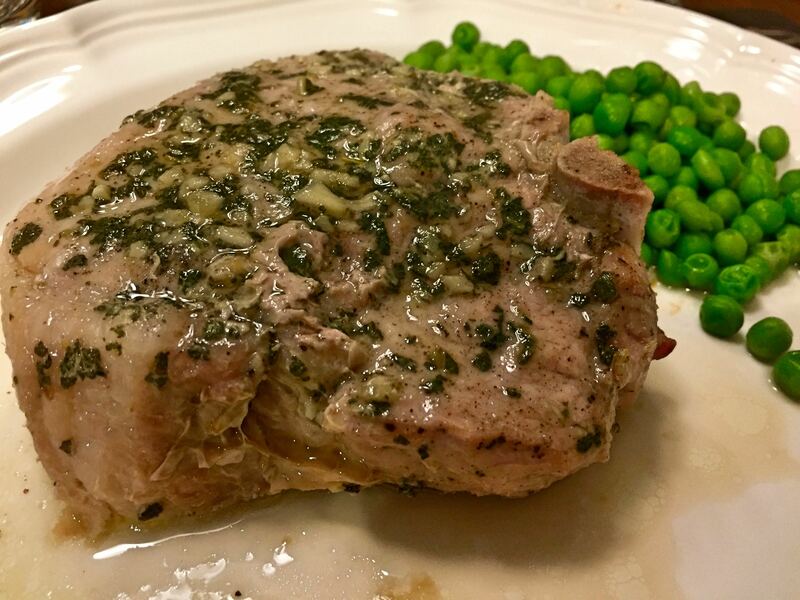 The first recipe, Baked Pork Chops, I adapted from The Seasons of the Italian Kitchen by Diane Darrow and Tom Maresca. Preheat the oven to 375ºF. With paper towels, pat-dry thick bone-in pork chops (1 to 1 1/4 inches) and place each chop on a 12-inch square of aluminum foil. Season each chop with salt and freshly ground black pepper and coat with a mix of finely minced garlic and fresh sage or rosemary (about 1/2 teaspoon per chop). Drizzle each chop with 1/2 teaspoon of olive oil, close the foil packets tightly, and place on a sheet pan. Cook in the oven for 1 hour. The chops can be served on plates and drizzled with their cooking juices or in the foil packets folded back and shaped into boats. These were some of the juiciest pork chops I’ve ever had since pork is lately being raised more to be lean than flavorful. The herbs, garlic, and olive oil compensate for any lack of browning. I found the second recipe on the New York Times Cooking website. 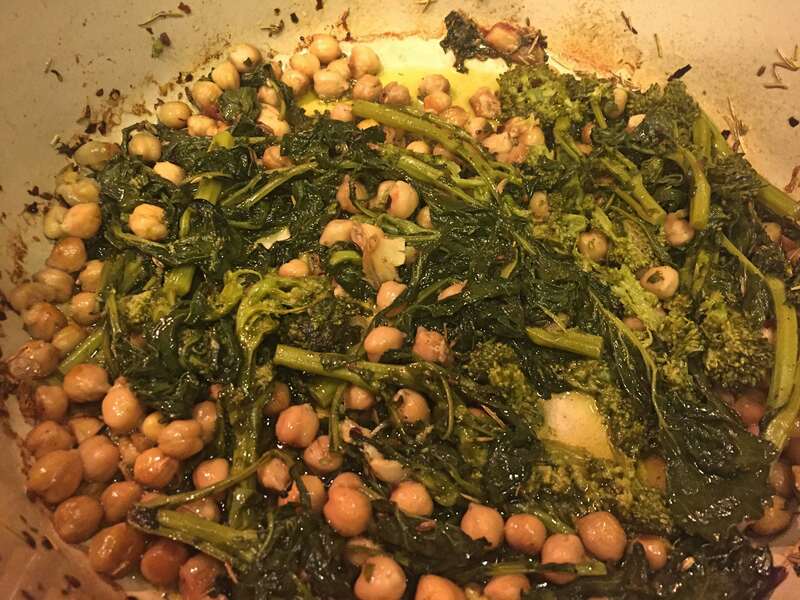 Olive Oil Braised Chickpeas and Broccoli Rabe. Preheat the oven to 375ºF. In a large enameled-cast-iron Dutch oven, combine extra-virgin olive oil, smashed garlic cloves, a sprig of fresh rosemary, fennel seeds, and chili flakes. Cook for 3 to 5 minutes until the mixture is fragrant and the garlic lightly golden. Turn the heat off, add a bunch of rabe, woody stems removed, and toss until coated with the oil mixture. 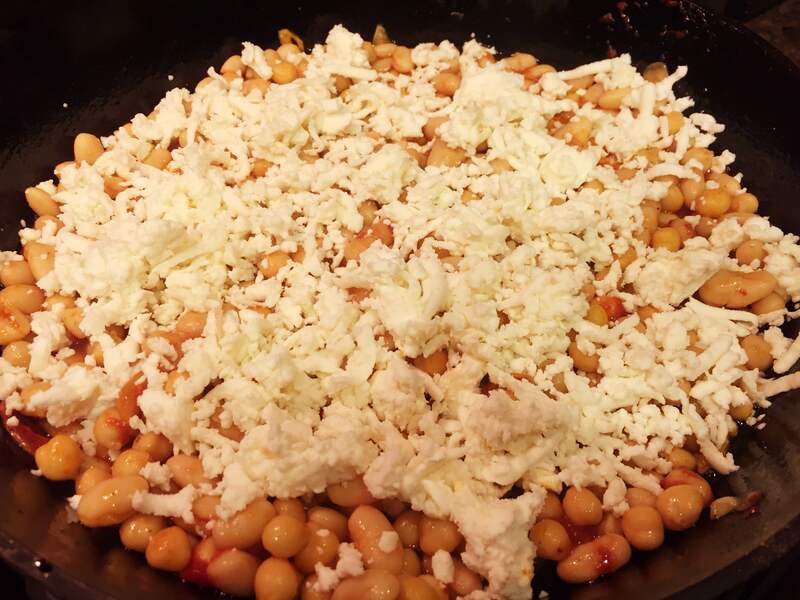 Scatter a can of drained and rinsed chickpeas around the rabe and stir to coat with the oil. Season well with salt and pepper. Cover and bake for about 40 minutes. The beans should be soft and crispy in parts and the rabe tender but the stems not mushy. Cool slightly before serving and remove the rosemary. 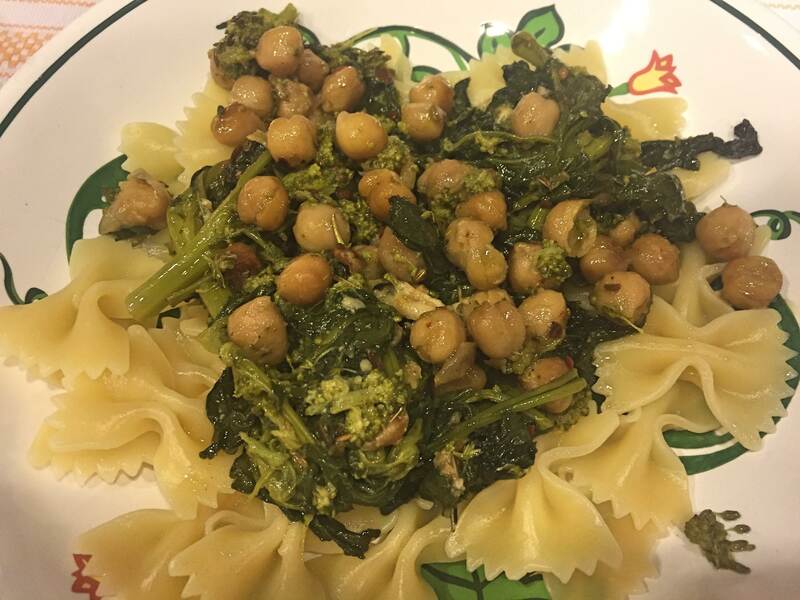 I served the broccoli and chickpeas over some farfalle, but crusty bread would certainly provide a delicious and more expedient alternative for mopping up the seasoned oil. I know this recipe may offend some traditionalists; nevertheless, I’m posting it for two reasons. First of all, it’s my first encounter with Calabrian chili paste, an unctuous spicy condiment that I see becoming a staple in my pantry. Secondly, the recipe takes an innovative approach to cooking pasta that eliminates using a dedicated pot for its boiling. I admit that I was skeptical about this method, but for someone who cooks at home almost every night, having one less pot to clean seemed most appealing. This relatively quick and easy recipe is from an episode of Giada DeLaurentiis’s “Giada at Home” that I saw while having breakfast early on a Sunday morning. The finished dish looked so good that immediately after church I made a trip to my local Italian specialty store to look for the chili paste. I was surprised to find there a couple of varieties, both imported and domestic, but chose the imported one from Tutto Calabria. My only variation on the recipe was using heaping tablespoons of the chili paste, which although quite spicy, is not very hot. Rather than pairing this dish with a southern Italian red, I opted for a Cerasuolo d’Abruzzo–perfect for a warm spring evening. Here’s a link to the original recipe and video. In a 10-inch high-sided saute pan, bring 1 inch of water (about 4 cups) to a boil over high heat. 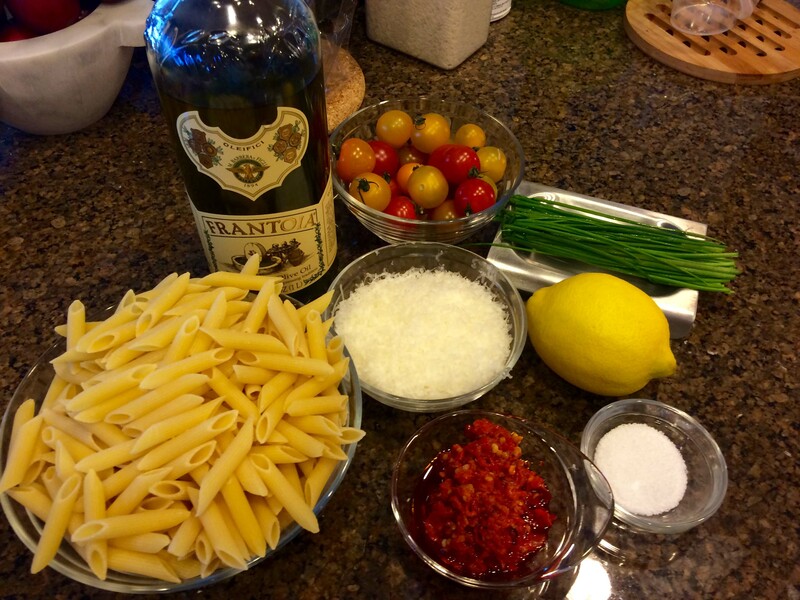 Add the penne and the salt. 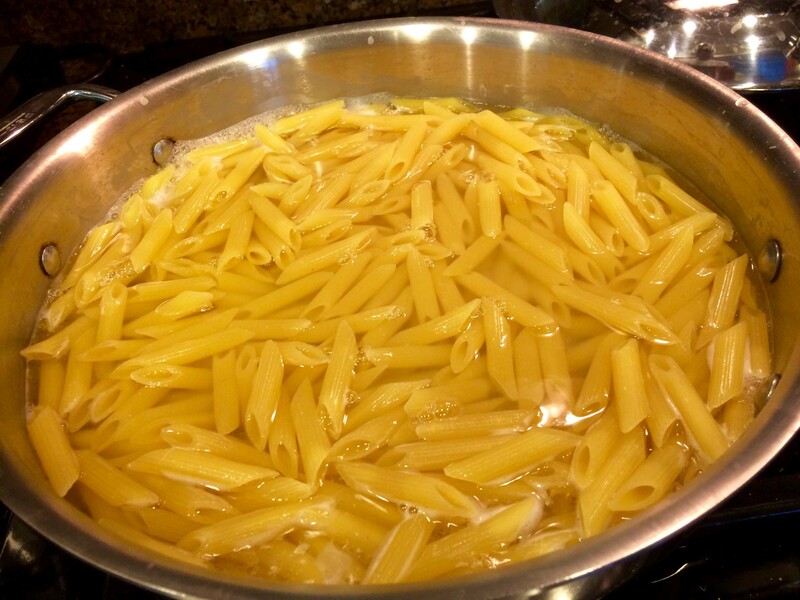 Cook, stirring often, until the pasta is al dente, about 9 minutes; there should be a little water left in the pan. Add the tomatoes, chili paste, chives, lemon zest, lemon juice and olive oil, and toss. As of late, quick-fix dishes seem to be dominating our weeknight meals. More often than not, they’re dictated, not only by my schedule, but by what’s in the market and how many extra ingredients I’ll need to pick up. Having over five items kicks me off the express check-out line, so 4 is my maximum number of secondary ingredients. 1. Put up the water for the pasta. 2. 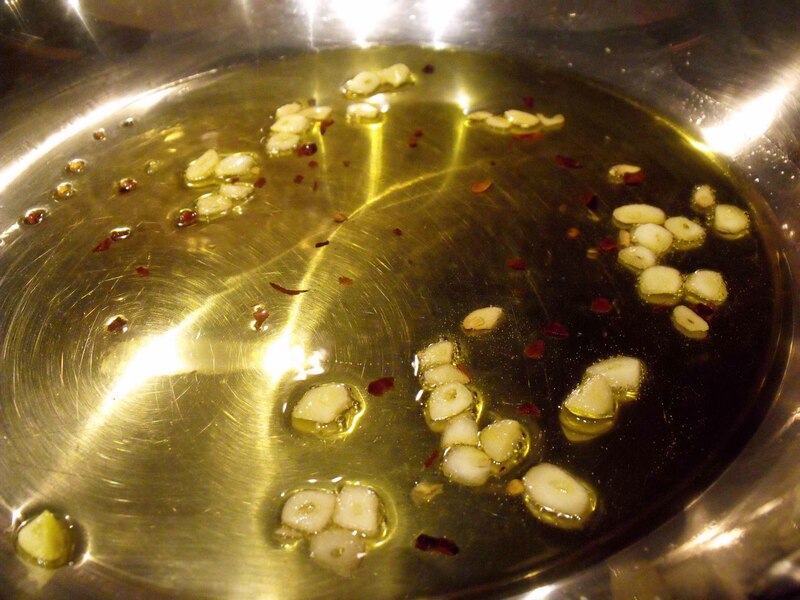 In a large skillet, over medium low heat sauté the garlic with the red-pepper flakes in olive oil. When they become fragrant and the garlic turns just a very pale gold, add the tomatoes, oregano, salt and pepper. 3. 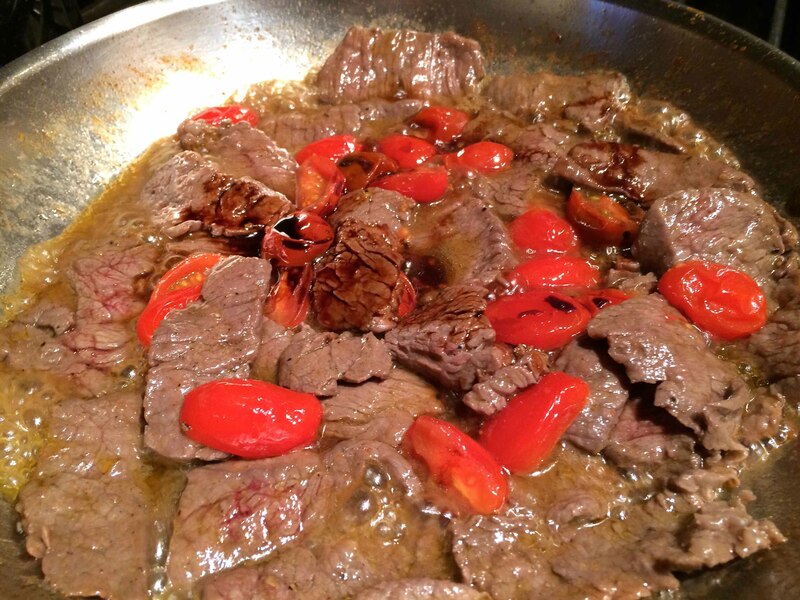 Continue to cook on medium low and after the tomatoes come to a slow simmer, cook for 15 minutes, string occasionally. 4. At this point, the water for the pasta should be at a boil. Add a handful of salt to the water and add the spaghetti. Cook, following package direction for al dente. 5. 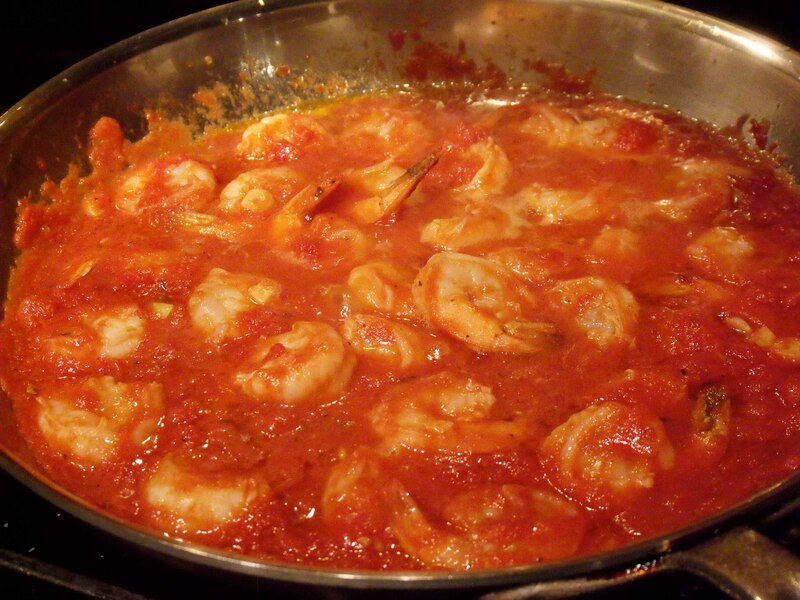 While the pasta is cooking, add the shrimp to the sauce, raise the heat to medium and cook until the first side turns pinks, around 3 minutes. Turn the shrimp and cook for another 2 to 3 minutes. 6. 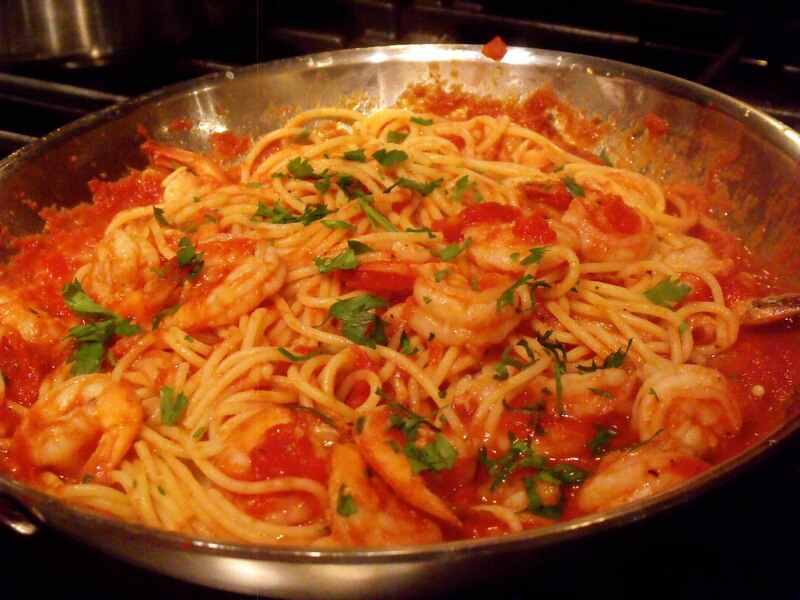 One minute before the prescribed time for al dente, using tongs, transfer the spaghetti to the skillet with the shrimp, reduce the flame to low, and toss the spaghetti to coat with the sauce. Off the heat, sprinkle with the chopped parsley and serve. When my brother left home for college, my mother, while proud of her first born’s academic accomplishment, was sad to see him go. (I, however, was glad to finally have a bedroom to myself.) From that first September until his return for Thanksgiving, a day never went by when mom didn’t say how much she missed him. 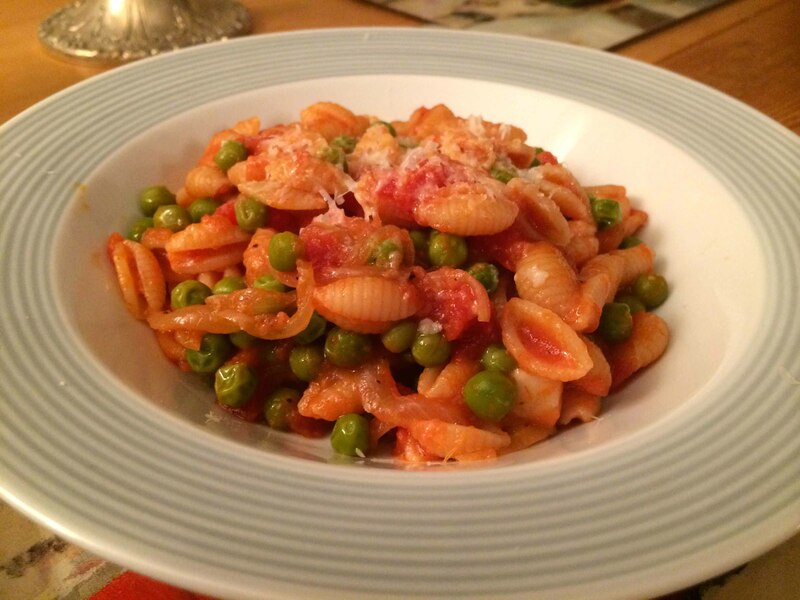 So when he came home for the holiday weekend, that first night she prepared his favorite dish, pasta piselli, pasta with peas, a recipe that reflected her own Sicilian heritage. 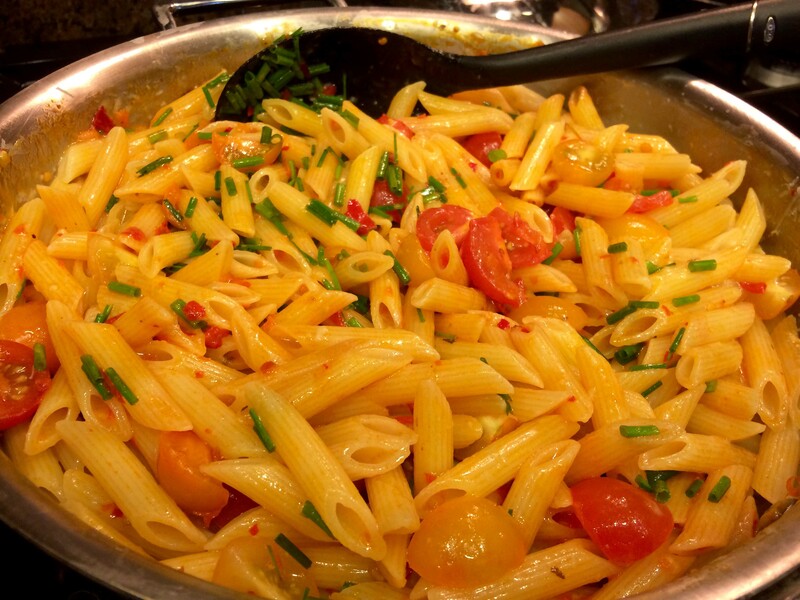 The extreme pleasure he exhibited when she brought it to the table—and consumed multiple portions—is probably why she continued to prepare this pasta every time he returned home not only from college and graduate school but even after he entered the Foreign Service and came back from posts abroad. It was always the first course for his first night back. My brother has been asking me to re-create this dish, so last night I decided to give it a go.I must admit, I came pretty close. My only disappointment was that I was unable to find ditali, the only pasta shape my mother would use for her pasta piselli. 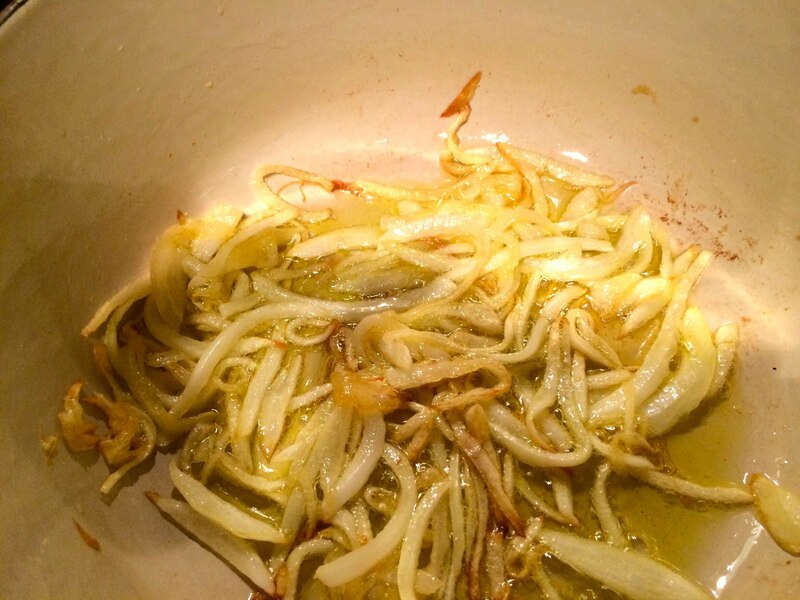 In a 3-quart heavy-bottomed sauce pan with a lid, place the olive oil and onion with a pinch of salt and cook uncovered over medium-low heat until the onions are softened and turn a pale gold. Add the tomatoes with their juice, salt and pepper to taste, and cook uncovered for about 10 minutes, until slightly thickened. 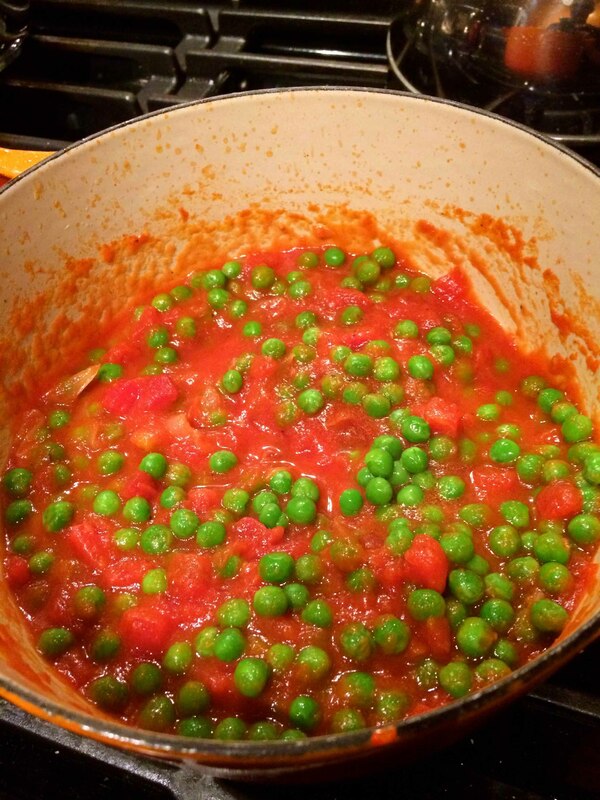 Add the peas, stir, and bring to a simmer. Cover the pan and continue to cook over low heat for 20 minutes, stirring occasionally. The peas should be well cooked, but not mushy. 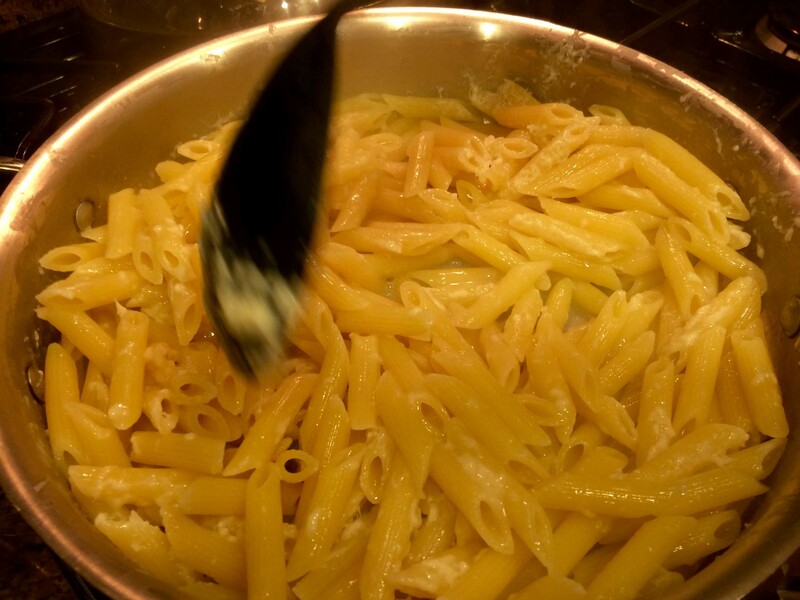 Meanwhile, cook the pasta in well salted water, following package directions for al dente. Cook for one minute less than indicated. Reserve one cup of the pasta water and set aside. 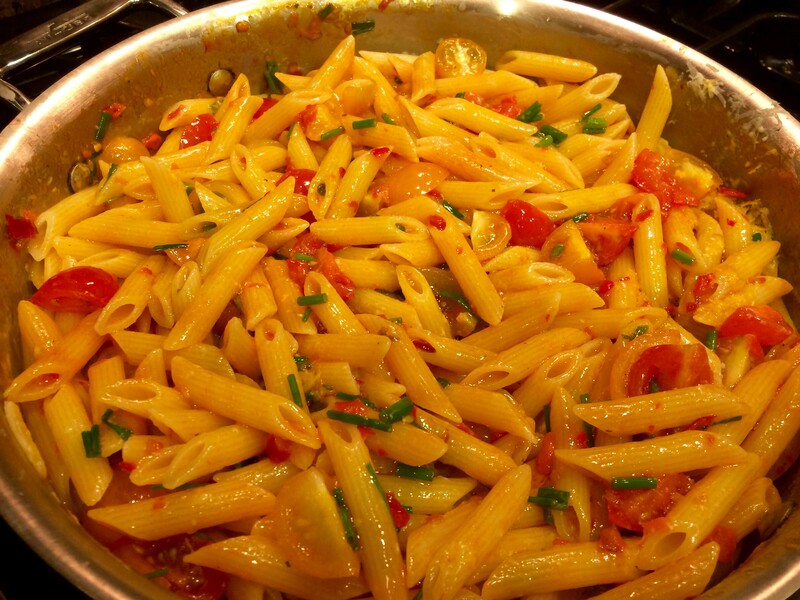 Drain the pasta and transfer it to the pan with the sauce. 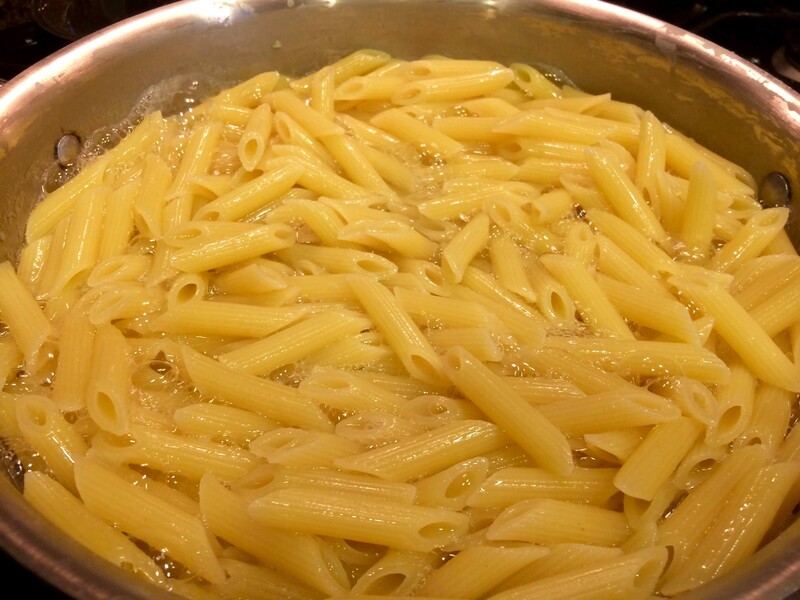 Cook for 1 minute, stirring to coat the pasta with the sauce. If too thick add some of the reserved pasta water. Transfer to a warmed serving bowl and sprinkle with grated pecorino cheese. Serve with additional cheese on the side. For me, one of the best times to visit Venice is the winter. Although it can get cold, and even albeit rarely snow, during this period, this unique city seems to shed the facade it puts on for spring and summer tourists and shows its true colors. You stroll through the city’s narrow alleys and passageways and through the silence you can hear its citizens going through their daily routines. Somehow, you feel at one with them and are woven into the fabric of La Serenissima. On one of my visits, I chanced upon a small restaurant, whose name escapes me now, at lunch hour. There were only a few patrons, one table of businessmen, another table with a family of five celebrating a nonna’s birthday. It didn’t take long before I was seated and handed a menu with many familiar dishes typical of the region. 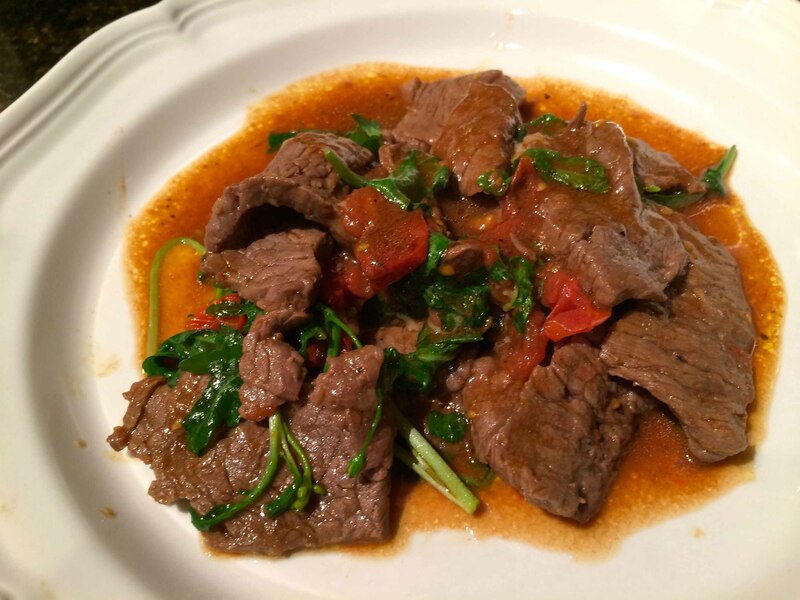 One of them, however, stood out, as I had never seen it before: straccetti di manzo con rucola, or “rags of beef with arugula.” I had to try it. 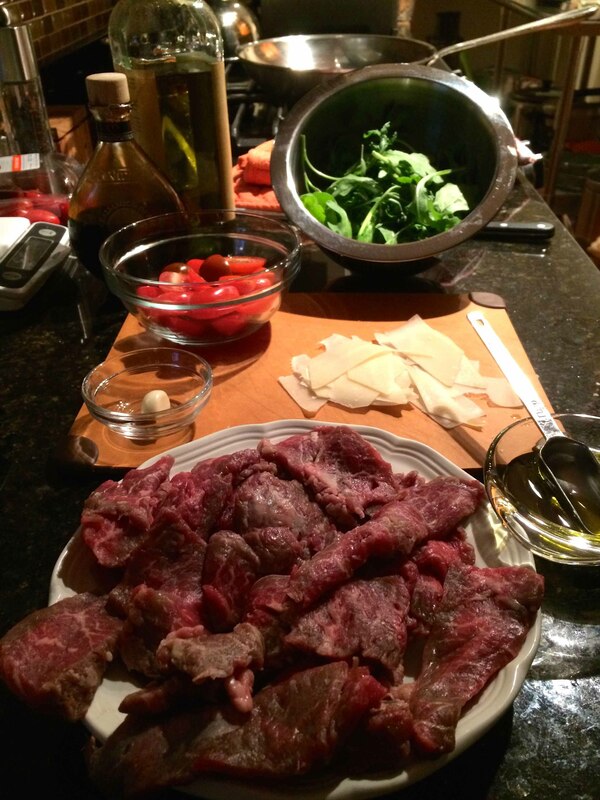 When it appeared on the table, I was struck by how much beef was on the plate, interlaced with wilted leaves of baby arugula and shavings of parmigiano-reggiano. But when I brought my fork to the beef, I saw how thinly sliced it was and realized that my serving, although more than adequate, was not as large as it had appeared at first. I’m glad I followed his advice, for the dish l prepared last night could not have been better. The beef was cooked in a matter of minutes and, although no more than an eighth of an inch thick, was juicy and tender. If you’re looking for a quick and easy dish, I highly recommend this one. A Google search yielded a plethora of recipes for straccetti and mine is an amalgam of at least four. 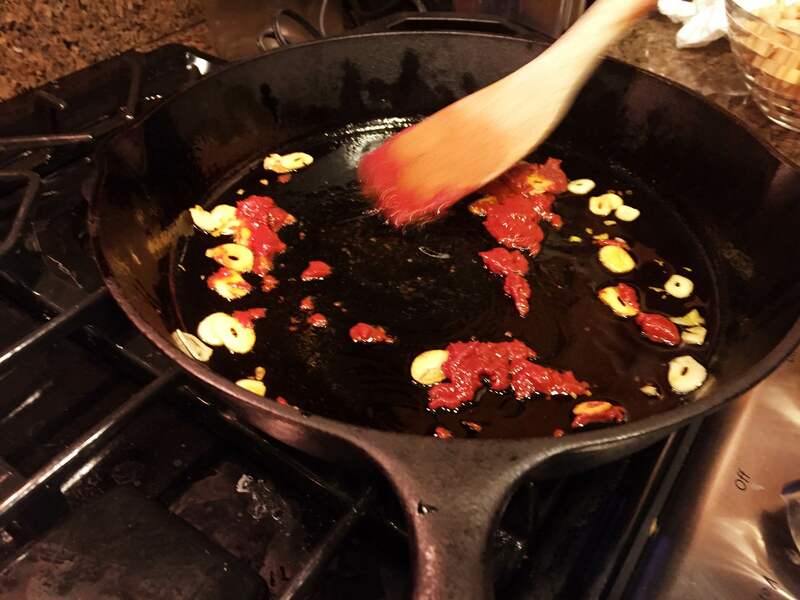 In a large, heavy-bottomed skillet large enough to eventually accommodate the meat in a single layer, place the olive-oil and smashed garlic and over medium-low heat poach the garlic until it becomes fragrant and a light gold. Discard the garlic and add the sliced tomatoes with a pinch of salt and cook over medium heat for about 3 to 4 minutes, or until the tomatoes just start to break down. 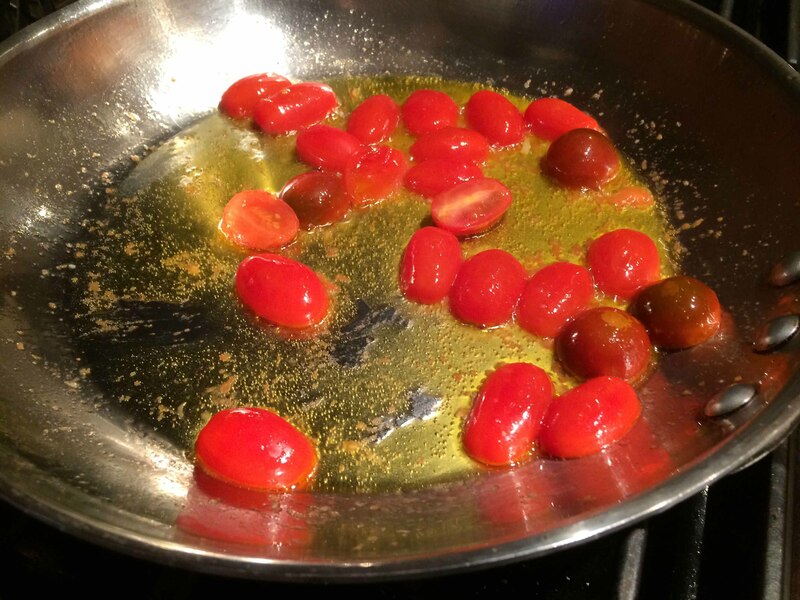 Remove the tomatoes with a slotted spoon and set aside. 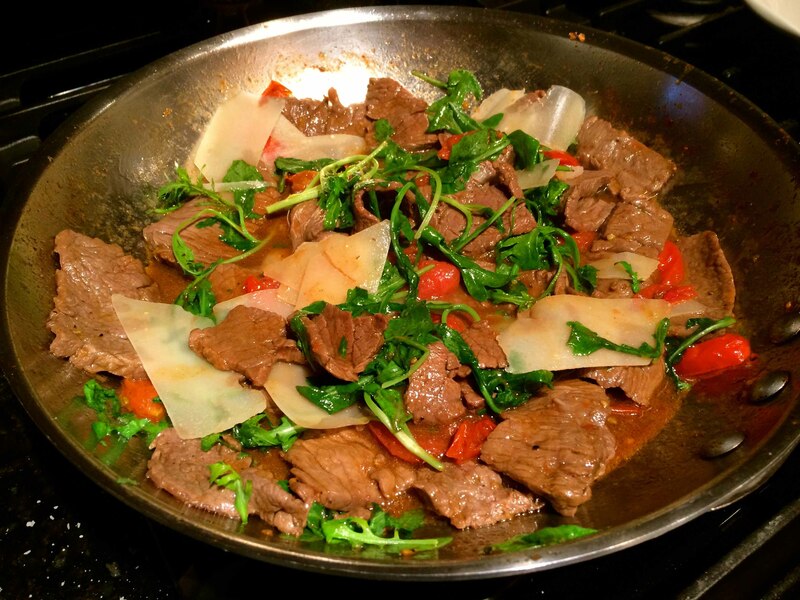 Turn off the heat, add the arugula and toss with the beef. The arugula will start to wilt. Add the shavings of cheese and toss once. 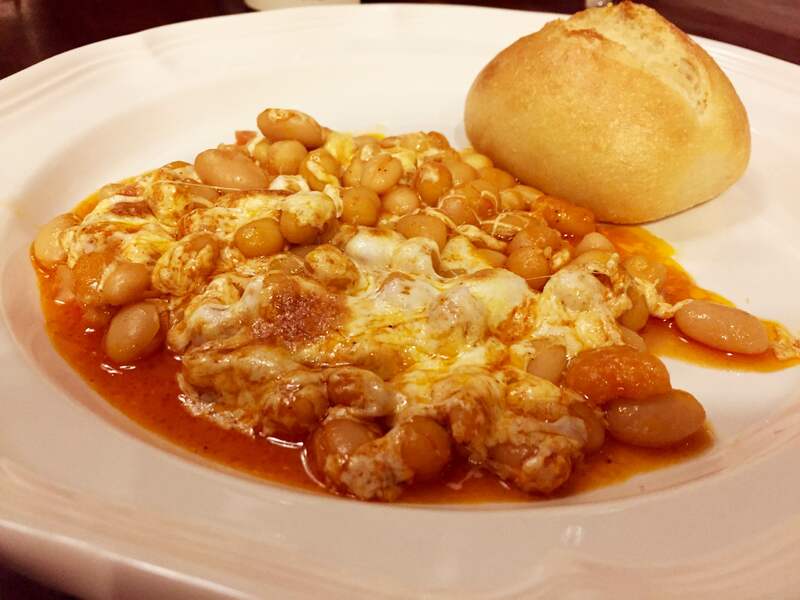 Serve immediately on heated plates accompanied with crusty bread to sop up the sauce.